What Shoes Should You Wear When Visiting Paris, France? 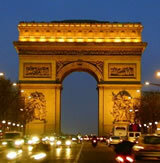 The number one item that you should bring to Paris is a comfortable pair of walking shoes. If I had to choose between arriving in Paris with a suitcase carrying all of my clothes (and I LOVE my clothes) or arriving without my walking shoes, I would pick the shoes - hands down. If I had to make a choice, I'd pick a comfortable pair of walking shoes over a suitcase full of clothes. The right shoes can make or break your trip to Paris. 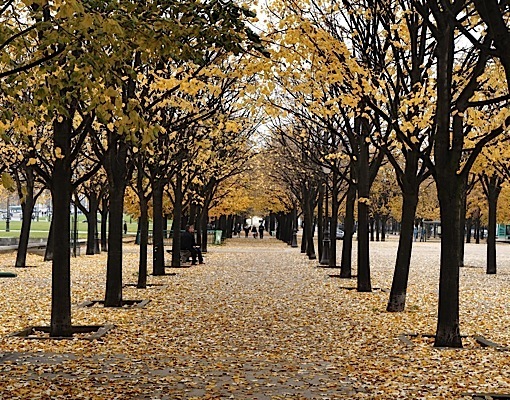 ...and slippery, leave-strewn paths in the autumn. 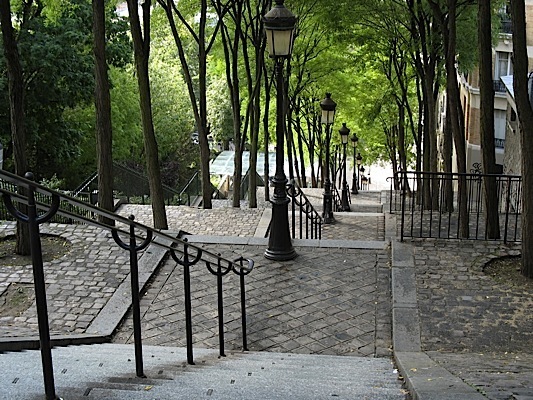 ..vertigo-inducing stone staircases in Montmartre. 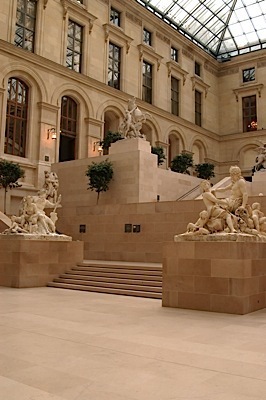 Marble floors in the Louvre museum, so unforgiving to footsteps, that they look untouched after hundreds of years. 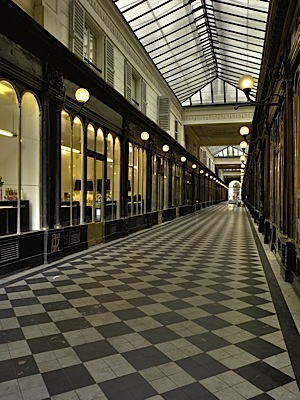 The same with the the tiled marble floors in Paris' famous shopping arcades built in the 1800's. All of this walking on different surfaces will exacerbate any existing health problems you might have, like a bum knee, worn out hip, weak ankles or bad back. 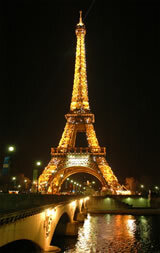 And, the shoes that you wear when walking at home may not stand up to the beating they'll take in Paris. 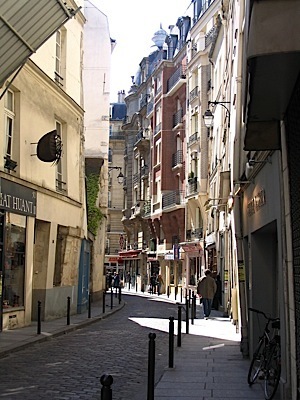 Fun Fact: David McCullough in his book, The Greater Journey: Americans in Paris describes how in the 1800's"...a destination of only two steps away could turn out to be a walk of several miles. Aching legs were common by day's end. The soles of good Boston (or New York or Philadelphia) shoes wore thin sooner than expected." I've found this to be true today, 200 years later. In Paris, your walking shoes will take a beating. You'll walk more than you think. 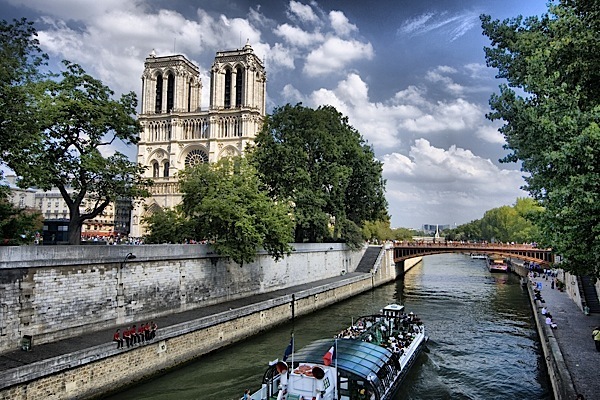 How can you stop walking along the Seine river with this view of the Notre Dame Cathedral? The Golden Rule: If in doubt on what shoes to wear, always choose comfort over style. No exceptions. Since living in Paris, I've purchased many of the same brands that Parisians wear and I've battle tested these shoes myself. I've worn each pair of shoes for hundred of miles on European streets (I'm not exaggerating. I walk around 5 miles or 8 kilometers a day). In Paris, accessories and shoes make the outfit. You'll see women wearing all black with shoes, scarves and purses adding a touch of color. 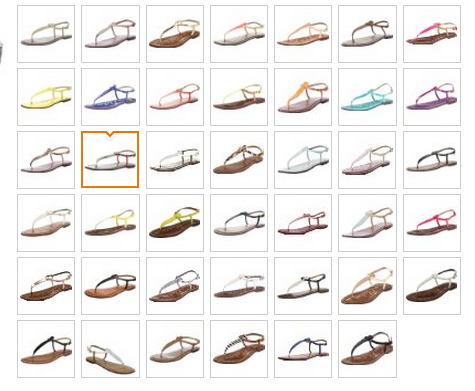 Many of the shoes below are shown in the hot colors of 2013: oranges, pastels, greens and blues. You won't see most of my recommended shoes in fashion magazines. But, you'll find that each brand is a good compromise between style and comfort. Note: When considering what shoes to pack, ballet flats in the spring/summer, and riding boots in the winter/fall never go out of style in Paris. Also, running shoes in Paris are for running - not walking around. 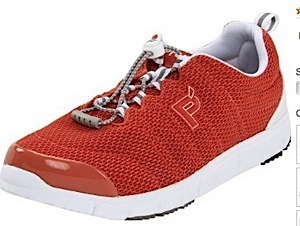 If you'd like to wear running-type shoes when sightseeing, buy a pair of slim-profile sneakers from Puma or Converse. I did not receive free shoes, discounts or any other compensation for my reviews. These are the shoes that bought with my hard-earned cash that I can't live without - especially when I am walking in Paris. 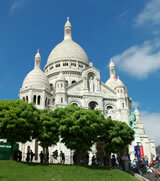 Arche is my favorite brand of shoe for walking in Paris. After wearing this brand for years and logging hundreds of miles of walking in the rain/snow/heat, my Arche shoes look barely worn and still feel as bouncy as when new. 1. Colors - Arche designers believe that black, brown and white shoes are boring. Instead, Arche uses a palette of hundreds of bright colors, like cobalt, magenta, and bright orange, to give a splash of color to any outfit. Check out the dozens of colors for this season on the Arche website. 2. Super-Soft Suede Uppers - Each pair of Arche shoes is made of lightweight, suede/nubuck uppers. The uppers are water and scratch resistant. I am amazed that after years of wear in gravel, dirt, and cobblestones my Arche shoes do not have any scuffs or scratches. I have been caught in snowstorms and thunderstorms and the thin uppers kept my feet warm and dry. 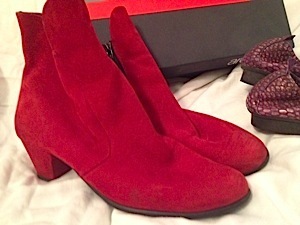 My 3-year old red Arche booties - Worn hundreds of miles through rain/snow/gravel/dirt and still look brand new. No scuffs or worn patches on the suede uppers. 3. Comfortable Soles - Arche's 100% Latex soles are made from hevea milk. The heavea milk is poured by hand into molds for the sole. I know nothing about the type of plants used for rubber, but I do know the Arche shoes feel different than any other shoe I have owned. The soles are firm, but bouncy. And, they hold up after hundreds of miles of wear. 4. No Wear-In Time - I've immediately worn my Arche shoes out-of-the-box for a long walk with no rubbing, stretching or blisters. This is rare for me. 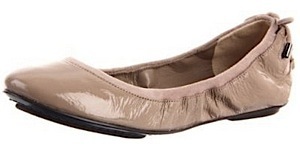 Especially, with no rubbing at the heel with ballet flats. 5. Packable - Arche shoes are easy to pack. The suede uppers "scrunch up" in a suitcase, but bounce right back into shape. 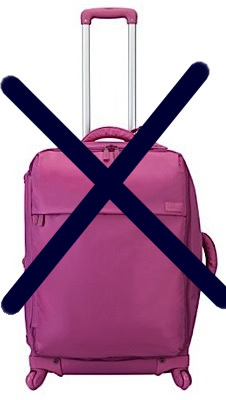 The shoes are also very light and don't add much weight to a suitcase. I can pack two pairs of Arche boots in the same space as one pair of traditional leather boots. The only drawback of Arche shoes are the price. When purchasing, consider these shoes an investment that will last for years. If you'd like to check out Arche shoes in Paris, the Galeries Lafayette has a large selection of all Arche styles. You can find Arche shoes (Arche chaussures) on the first basement level marked -1 in the Galeries Lafayette main store (Lafayette Loupole) (take the escalator from the first floor down). When you spend most of your day walking on uneven pavement, your feet swell, causing your shoes to be too tight in the toes and arch. This causes blisters and foot pain. Ecco solves this problem by making the shoe box wider to account for swelling, while keeping the heel the same size for fit and stability. Ecco shoes come in classic styles built with ample padding and thick soles to cushion your feet with each step. Like Arche, I find that most Ecco shoes can be worn out-of-the-box with no painful wear in period. 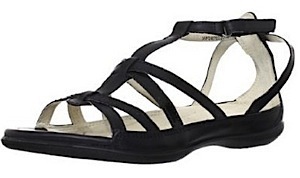 In the summer, Ecco gladiator sandals are my workhouse shoe. Super comfortable, yet fashionable without being flashy. I have worn Ecco black gladiators for hundreds of miles. I am on my second pair. 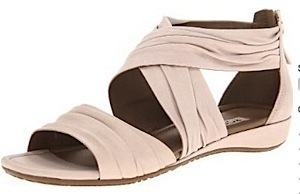 Ecco also makes strappy sandals in the trendy pastel shade of pink. 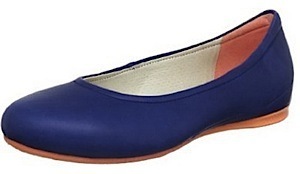 If wearing sandals isn't practical, try Ecco ballet flats in a classical style. ...or in a airy, pastel flat. Famous shoe maker, Cole Haan, paired with running shoe extraordinaire, Nike, to create a line of stylish, yet comfortable walking shoes. Each pair of Cole Haan/Air Nike shoes use the same technology and insole as Nike Air running shoes. 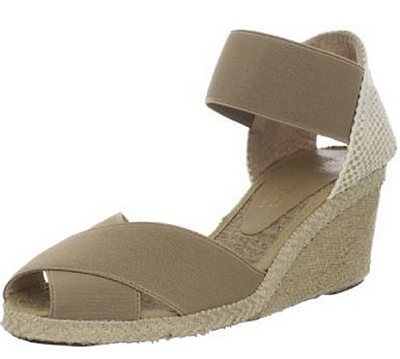 The beauty is that you are wearing a running shoe that looks like a stylish pair of heels, wedges, or flats. 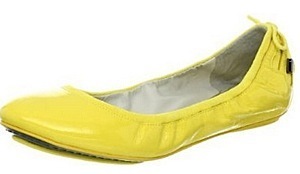 Cole Haan/ Nike Air ballet flats are heaven on your feet during a long day of sightseeing. And, ballet flats in Paris are always "tres chic." 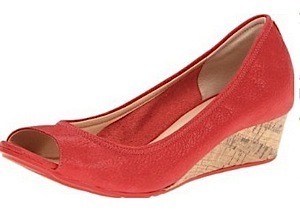 ...or a simple, slingback style. I don't wear sneakers in Paris, but I've wished I've packed a pair when playing with my kids in a park, or hiking outside of the city with my husband. Unfortunately, I travel with a carry-on and couldn't spare the room for a bulky pair of tennis shoes. That has changed once I found the Prophet Travel Walker. 1. Sizing - With half-sizes ranging from narrow up to double extra wide, it's easy to find the perfect fit. 2. Price - The Travel Walker II retails at $58, but is frequently on sale for much less. 3. Colors - From basic black to bright turquoise, the Travel Walker is available in over a dozen colors. I'm not thrilled with the white-only soles, but the shoe has a low profile - perfect for Paris. The black, brown and navy shoes will blend in with the crowd, whereas you can coordinate a pair of colored Travel Walkers with your favorite outfits. 4. Comfort - For such a lightweight shoe, the cushioning in the shoe is substantial. I wore these shoes out-of-the-box for a five mile walk and my feet were not tired or sore. Since the shoes are feather-light, it felt like I was walking on air. The insole is removable, so you can add your own arch support or orthotic insole. 5. Durability - Propet guarantees the shoes for six months or 1,000 miles. I haven't walked 1,000 miles, but I have put some serious mileage on these shoes and there is no change in comfort or wear. The only disadvantage to the Travel Walker II is that the upper is mesh. The shoes keep your feet cool in the summer, but aren't designed to keep your feet warm and dry in the rain or snow. I've worn my Travel Walkers in light rain and my feet stayed dry, but I wouldn't wear them in a hard downpour, or trust them to keep water out if I stepped in a puddle. I have the Travel Walkers in three colors. Peach because it is the color of the season in Paris. Red because I love red shoes. And, turquoise because "Why Not?" Comfortable,light and easy to pack...I bought three pairs in turquoise, peach and red. As a bonus, the Travel Walkers include a cute, travel theme shoe bag. Perfect for packing. 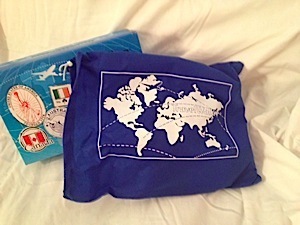 Includes a travel-themed shoe bag - a nice addition for a reasonably-priced shoe. The Swedish Hasbeens story is like a fairy tale. 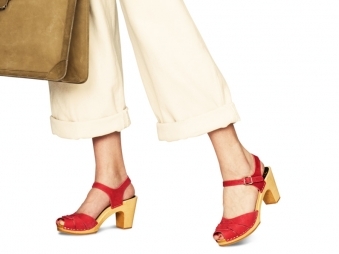 In Sweden, two women find a warehouse with 70's style clogs and sandals (think Olivia Newton John in Grease and the Candies craze). They used the 70's designs as a template, and hand-crafted fun, retro shoes in Sweden using all natural materials, such as wood soles from lime trees, untreated full-grain leather, and non-toxic dyes. Opening the box, I was skeptical that my Swedish Hasbeens could be a comfortable, walking shoe. The thick leather and wooden soles made the boots the heaviest that I own (sandals are light). There is no padding or insole - just a wood bottom. The leather is stiff and unforgiving. 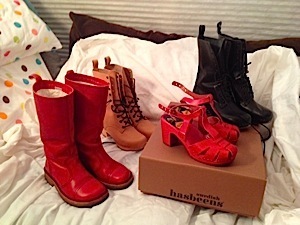 However, once I walked in my Swedish Hasbeens, my feet were in heaven. The more I walked, the leather uppers transformed from stiff and hard to buttery-soft leather molded to my feet. The wood sole cushions your feet and seems to "give" when you walk - like walking on pillows. Even with 3-inch heels, I can walk for miles with no discomfort. Since each pair is hand-made in Sweden or Italy, the quality is top-notch - from the stitching to the overall construction. 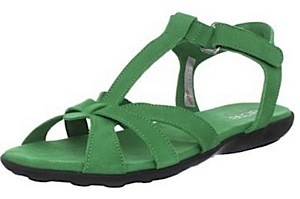 In spring/summer, I wear Swedish Hasbeens sandals. 1. Wearing the Shoes In - Order your true size. When you first put on your Swedish Hasbeens, they will be tight and you'll be tempted to return them. Instead, put on a pair of heavy socks and walk around your house. For boots, you may need to put your feet into a plastic bag so that they can slide into the boot. After walking around your house for a few hours, the leather will begin to soften and mold to your feet. At this point, you can transition to normal socks or barefoot for sandals. 2. Treating the Leather - The natural colored shoes are untreated leather. To protect them, you'll rub olive oil onto your shoes (it sounds crazy, but works). The shoes darken to a beautiful caramel color. For dyed leather shoes, spray with a leather/water protectant. 3. Caring for the Soles - The rubber on the soles is glued on and will fall off with age. I simply take the shoes to a cobbler and replace the soles for $10. Even with the enhanced maintenance and price, Swedish Hasbeens are worth the time and money. For a lower price option, try Lotta from Stockholm. I don't own a pair, but have heard that they are comfortable and built to last. 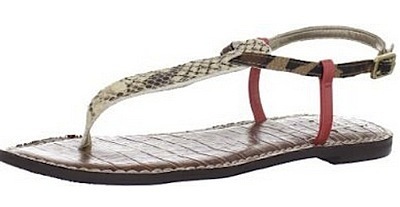 Last summer, I lived in my Sam Edelman Gigi Thong sandals. I walked around 500 miles throughout Europe and I could not believe how comfortable my feet were in these $60 sandals. Unlike most thongs, Sam Edelman Gigi's are lightly padded, so instead of walking on a hard sole, your feet are cushioned with each step. 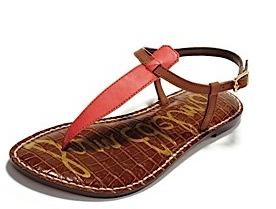 Besides comfort, Sam Edelman Gigi sandals come in dozens of color schemes - including the trendy Paris shades of coral, bright blues and pastels. 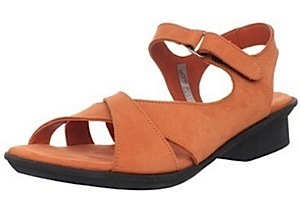 For fit, the sandals come in half sizes with an adjustable, elastic strap around the heel. When packing, these thin and lightweight sandals take up virtually no room in your suitcase. 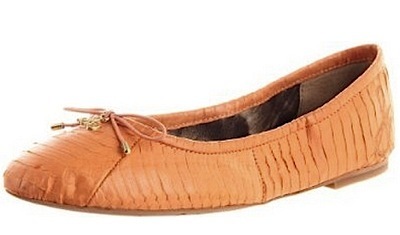 Sam Edelman also produces a comfy pair of ballet flats in dozens of colors. The padding is heaven to your feet. If you're looking for a unique sandal or wedge with maximum support, stability and cushioning for long days of sightseeing, try Fly London. Fly London specializes in unique and quirky "on-trend" shoes that are perfect for walking on European streets. Unlike other brands of walking shoes, Fly London's don't look like a shoe your grandmother would wear. Photos don't do these shoes justice (the soles look big and tacky), but in person Fly Londons look more low-profile and cute. 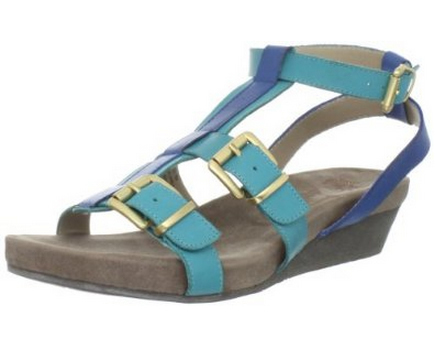 I own the Fly London Ylva Slingback sandal in Indigo. 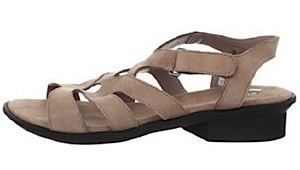 I tore a few ligaments in my foot and heard that these shoes had a good ankle support since the sandals are tied. And, it worked. I can walk miles in these sandals and my foot stays stable. Fly London shoes are made with buttery-soft leather (no break-in time), rubber soles with grooves for traction, and come in a multitude of colors and styles. 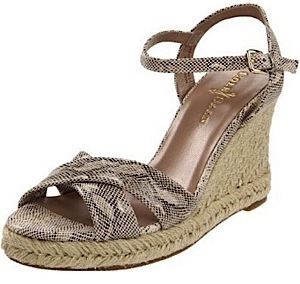 No summer wardrobe for travel to Europe is complete without a comfortable pair of espadrilles. This classic shoe style is as welcome on the streets of Paris as on the Mediterranean beaches in the south of France. Andre Assous is considered the "King of Espadrilles" having manufactured espadrilles for over 40 years. Unlike many other brands where the name no longer represents a person, Andre Assous is a designer intimately involved in producing the most high-quality and comfortable espadrilles on the market. And, he has "put his money where his mouth is." In 2010, he moved production from China to Italy because the quality of his shoes was not up to his high standards. Now, all Andre Assous are assembled and stitched by hand in Italy and Spain following the techniques used for hundreds of years by Spanish shoemakers. 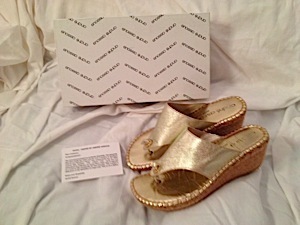 I've worn other designer espadrilles and no others are as comfortable as my Andre Assous wedges. The shoes are nicely padded and made 100% from natural fibers like silk, leather, jute, cork and cotton. The soles are reinforced to provide a stable and cushy feel on varying types of pavements such as sand, stone and concrete. If you are looking for a pair of reasonably-priced espadrilles and aren't worried if your espadrilles only last for a few seasons, check out Viscata Barcelona. 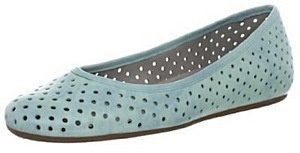 Very comfortable and available in lots of cute styles, like polka dots, stripes and pastels. Tsubo means "pressure point" in Japanese. Tsubo's mission is to eliminate foot pain by strategically placing cushioned oval bubbles on the insole and outer-sole. These "bubbles" disperse the impact that on your feet when taking each step. Tsubo receives rave reviews from individuals with a history of foot problems, like plantar fascitis, torn ligaments, weak ankles, and broken bones. 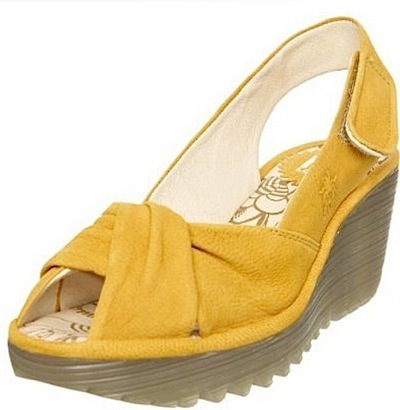 If you also like height in a shoe, but can no longer wear heels, Tsubo's platforms are a fashion-forward compromise. Their platforms are futuristic looking with four, thick layers of padding and a sole that grips the ground for stability. 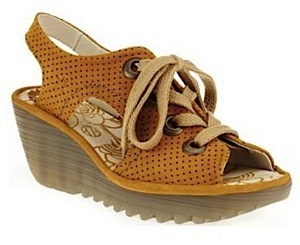 I own the Tsubo Manti platforms shown below. These sandals are incredibly comfortable and are cuter in person. I can walk miles in them with no foot pain. However, since the Manti's are strapless, you can lose your balance on gravel and cobblestones. Instead, these are my south of France slides that I wear when promenading along the Mediterranean. 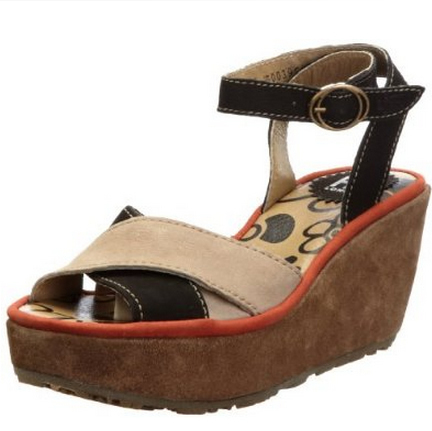 OTBT stands for "Off the Beaten Path" and focuses on cute shoes that are built for backpacking through Europe. If you picture yourself backpacking through France, but cringe at the thought of wearing plain, practical walking shoes, consider OTBT. OTBT shoes are manufactured with an emphasis on comfortable, stable wide-soles. Most OTBT shoes have a padded sole with a cork insole that over time molds and cushions your feet. The angle of their platforms, wedges and heels is calculated to minimize pressure points on your forefoot, and to provide stability on a variety of surfaces. A bonus is the multitude of colors and designs for you to choose from. For a high wedge, OTBT's are very stable. I've had no problems walking on uneven pavement in my OTBT sandals (seen below). The shoes listed above are my personal favorites. But, there are many other brands of walking shoes that may fit your foot and personality better. Here are some additional brands to consider when purchasing shoes for your trip to Paris. Again, I have personally worn most of these brands and have received no compensation, free shoes or discounts for my opinions. You can find Born, Clarkes and Aerosoles in most department stores or discount stores at a reasonable price - usually between $50-$100 dollars. Born's are heavily-padded and comfortable at a reasonable price. They are easy-to-find in department and discount stores (e.g. , Marshalls, T.J. Maxx). The Born Crowne line is the upscale version where the construction (padding, materials) is higher-end and the shoes come with a shoe bag. Personally, I can feel a big difference between regular Born's and the Crowne line. Manufacturing shoes for over 180 years, Clarkes produces a variety of comfortable shoes perfect for walking at all price points and styles - from the classic Clarke's to the trendy Indigo line to the comfortable Privo brand. You can find Clarkes in most major department stores. 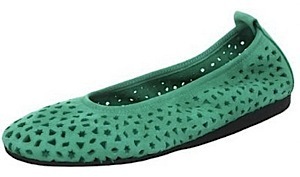 Cushy Aerosoles are economical and easy to find in most stores. They'll wear out more quickly than other brands, but the price is right for a comfortable pair of vacation shoes. Naya combines comfort with environmental responsiveness. Each shoe is made from luscious soft leather and over-the-top padding. In addition, Naya shoes use natural and recycled fabrics, soy-based inks and water-based glues. Some shoes are vegan. 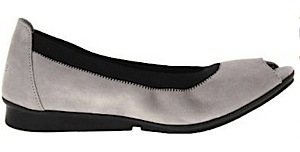 Most Naya shoes come in narrow and wide widths. I've found the medium width to be narrow (fitted to a slim foot). El Naturalista is a Spanish brand committed to creating comfortable shoes as environmentally and socially responsible as possible. Shoes are handmade in Spain and Morocco using vegetable-dyed leathers, water-based glues and re-cycled rubber for soles. El Naturalista donates 2% of their profits to dozens of charitable organizations, such as Oxfam, Save the Children and the Red Cross. Made in Spain, Pikolinos are created in a uniquely Spanish style with natural colors and soft leathers. It is amazing how comfortable these shoes are even though the padding is minimal and the soles are very light. I own a pair of Pikolino flats that I have had for over 7 years that still look and feel great. Pikolinos are sold in 60 countries around the world. Some Pikolino styles are hand-crafted and embroidered by the Masai women in Kenya. All profits are donated to the Masai and to date the proceeds have been used to build a school for 400 children. 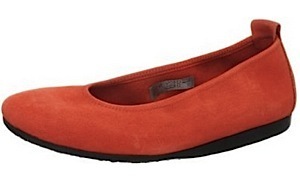 Camper, Mephisto and Repetto are extremely, comfortable shoes made in France or Spain. The price point for these shoes is high (over $100), but "you get what you pay for." Camper makes walking shoes with a Mediterranean flavor from simple sandals to funky, fashion sneakers. Camper is an old Spanish brand (began making shoes in 1877) that started on the Mediterranean island of Mallorca. 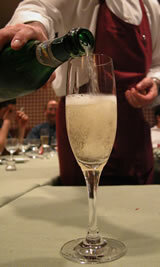 Their slogan is "Walk, Don't Run" encapsulating the Spanish philosophy of siestas and slow living. The French company, Mephisto, focuses on one thing only - being the world's most comfortable walking shoe. Each walking shoe takes over 140 steps and more than 90 minutes to manufacturer. If you are in Paris and need a comfortable walking shoe, look for Mephisto's in their company stores dotted around Paris or in Paris' major department stores, such as Galeries Lafayette, Printemps or Bon Marche. 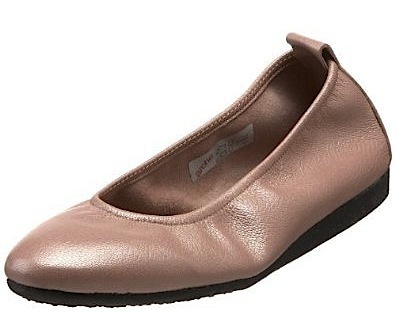 Repetto is the gold standard in ballet flats. French based Repetto ballet flats are seen all over Paris and can be found in many Paris boutiques and all major department stores. You can't miss the colorful, window displays. A rainbow of Repetto ballet flats in the Galeries Lafayette department store in Paris. 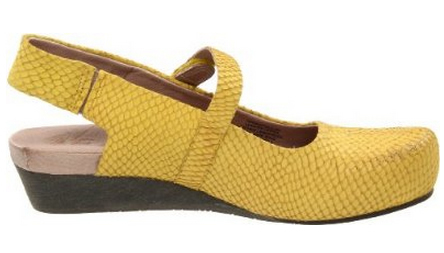 Dansko is a popular brand with nurses and other professionals that are on their feet all day. Dansko's are known for their stable construction that supports all parts of your foot - toes, footpad, heels, as well as having exceptional arch support. Created by Kenneth Cole, Gentle Souls are designed to pamper your feet. Each pair is crafted with soft, deerskin lining and insoles, and uses flaxseed memory pillows that mold to the shape of your foot. To ensure that the shoes hold up, there is another layer of memory foam, developed by NASA, which is guaranteed not to break-down during the life of your shoes. 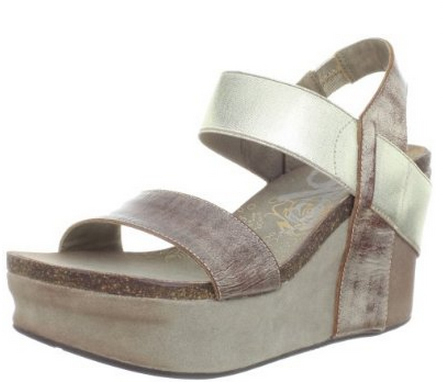 If you are looking for a comfortable high-heel or wedge, Gentle Souls is a good choice. Naot focuses on an anatomical footbed that cradles and molds to your foot. Think Birkenstocks, but good-looking. They even have a popular sandal named the "Paris" - say "Oui". I find that Naot's aren't comfortable out-of-the-box, but after a few wears the rigid sole molds to the foot making these an extremely comfortable shoe. You can mimic this effect by wearing a model around the store for about 15 minutes before purchasing. 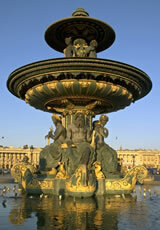 Foot pain can put a damper on your Paris vacation. I remember trips to Paris when I wore cheap shoes, and was frustrated that I could not walk another step in the Louvre museum without foot/leg pain. So, I ate crepes while resting my feet. The crepes were delicious, but I'd rather have spent my limited time gazing at the Mona Lisa. Over the years, I've traveled with friends and family whose feet hurt so bad that we ended up buying walking shoes in Paris. Don't get me wrong - shopping for shoes in Paris is a sublime experience (Who doesn't like looking at designer shoes?) , but not when your budget for food and fun is diverted to buying a practical pair of flats. I buy my shoes online. With free two-day shipping, free returns and knowing instantly whether the color/size of your shoe is available, buying shoes online is a no-brainer. To get the best price, I start with Amazon.com and search by brand. I've found that Amazon has great prices (often on sale) and color selection. Zappos offers incredible customer support (don't hesitate to ask questions about sizing, colors, styles, etc. ), but prices are usually not discounted below retail price. 6pm.com is Zappo's outlet store. Shipping is free, but you pay return postage fees. The prices on 6pm are deeply discounted (usually 50% or more). Zappos and 6pm are also owned by Amazon.com. You should always buy and wear-in your shoes before leaving home. But, if your shoes aren't working out once you arrive in Paris, head to the Galeries Lafayette department store in the Opera area of Paris (Metro: Opera). Tourist Discount- The Galeries Lafayette has the largest selection of shoes in Paris and offers a tourist discount of 10% on most purchases. To recieve the discount, enter the main store and stop at the Information desk, show your passport and receive a 10% off discount card. Now, you are ready to shop. Directions - Take the escalator down one floor (to -1) and enter shoe heaven. This entire floor is devoted to artfully displaying hundreds of pairs of women's shoes in a contemporary museum-like setting. You'll find it hard to resist making a purchase in this luxurious setting. VAT Discount - When you pay, make sure to show your discount card and if your purchase for the day (the total of all purchases in the store) is over 275€, go to the customer service/VAT desk to receive a VAT refund for and additional 18%. European Shoe Sizes - To find out your European Shoe Size, check out this US to European conversion chart at Zappos. com. Adjustable Straps - For sandals, make sure that all straps are adjustable or have elastic backing, so that you can adjust your shoes when you feet swell from walking. Roominess - Don't purchase shoes that are too tight. Roominess is key when buying a shoe that you will wear for many miles. Natural Materials - Look for natural materials, like leather, suede, or cork. Natural materials will stretch and mold to your foot for maximum comfort. Plastic or fake leather (pleather) will dig into your foot when your feet sweat and expand. For more information on how to pamper your feet with correctly fitted shoes, read the WSJ article "Wanted for Assault: This Season's Killer Styles"
Pack at least two pairs of shoes - You'll want to swap shoes if a pair gets wet (rain is common in Paris year-round). Also, rotating shoes gives your feet a chance to rest, since each pair of shoes will expose your foot to different pressure points. Summer - Make sure to pack a pair of closed-toe shoes. 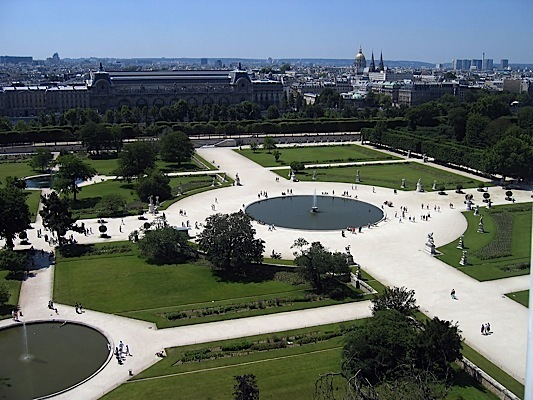 Besides the rain, you'll be walking on dusty dirt trials in the Tuilieries Gardens and at Versailles. If you are sightseeing for the day, closed shoes will allow you to transition to dinner/evening without having dirty toes. 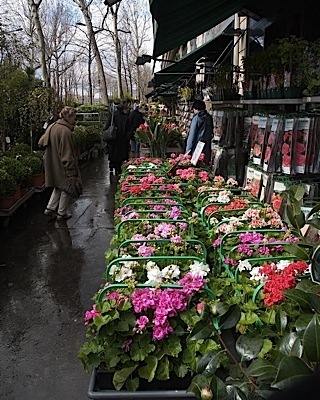 Ballet flats or classic loafers never go out of style in Paris. Winter - You can't go wrong wearing a riding boot or ankle bootie. Shoes that provide ankle-support are key. 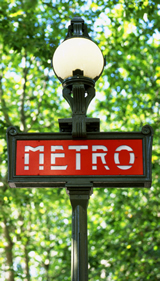 Paris streets and sidewalks are slick in the winter, so pack a shoe/boot that can prevent a turned ankle. No running shoes or flip-flops - In general, Parisians view running shoes for running. And, casual flip-flops are for the beach. Instead of bringing your white, comfortable tennis shoes, aim for a low-profile sneaker, like Pumas or Eccos. Classic, Converse "Chuck Taylors" are the favorite shoe of Parisian teens and twenty-somethings. 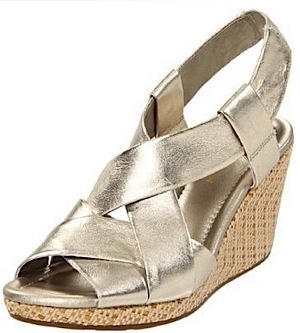 In the summer, pack a classic, pair of gladiator sandals or wedges instead of flip-flops. The hardest part of packing for me is deciding how many shoes can comfortably fit in my carry-on suitcase. First, I wear my largest pair of shoes/boots on the plane. I also will carry a pair of flats to change into on the plane. When packing, place the largest pair of shoes first, then fill around with smaller shoes or other items. Pack socks, underwear or scarves inside shoes to save space. Use hotel shower caps as lightweight, disposable shoe bags. I carry a small bag of walking-related items to pamper my feet after a long day of sightseeing, and to prevent blisters and rubbing. Band-Aid Friction Cream - Helpful when wearing sandals with straps that start to rub when your feet swell. Band-Aid Advanced Healing for Blisters - For rubbing or to protect blisters. These Band-Aids stay on for multiple days until your skin heals. They also don't fall off when showering. Extra Insoles - To help with foot pain, place thin insoles into your shoes. Each quarter of an inch of added insole negates over ten pounds of pressure on your feet when walking. To make your shoes feel like new, trade for a new insole midway through your trip. Shoe Cleaning Cloth - Your shoes may be covered with dust if you spent the day walking outside. Use a small cloth or shoe-shining sponge to clean up your shoes.